Do you like the house in which you live?? Perhaps you wish it was bigger or had another bedroom? I think houses are kind of like people or jobs - none of them are 100% perfect. If it were perfect, though - if it were the house of your dreams - what would it be like??? My dream house would have . . . . . . Some other things that would be great . . . . .
- All of these design elements would be pretty pricey, right? So, it would be great if this dream house came with NO BILLS!! - Since I sorely lack an eye for design, I would need the house to come with a DESIGNER to make the spaces look spectacular. - I would greatly appreciate a CHEF as well a few times a week. After all, it would only be fitting in that wonderful kitchen! - As long as I'm dreaming, why not add a LIVE IN HOUSEKEEPER as well?!?!? Also . . . . .
- To me, every home needs a PET (or two!). 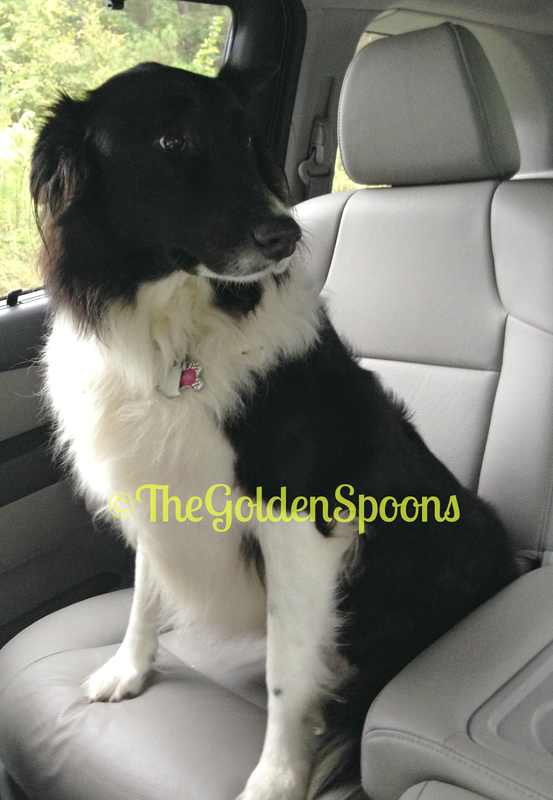 Our home wouldn't be complete without our beloved Sophie! It occurs to me that, as I have been sitting here scouring Pinterest for ideas and pictures of my perfect, dream house, we have just spent the last few days counting our blessing and being thankful. The truth is, any home could be my dream home as long as my FAMILY is there with me. We may not have the fanciest bathrooms or the most spacious kitchen, but our home is filled with love and laughter. It's fun to dream, but, at the end of the day, that's my family is what really matters the most! 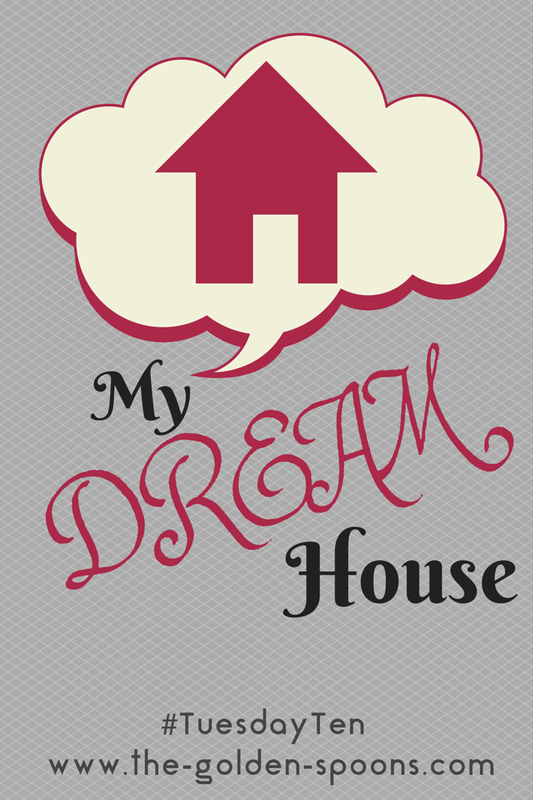 What would you like to have in your dream home? 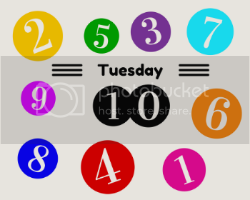 Link up a post, old or new, pertaining to the TuesdayTen topic for this week and add our TuesdayTen button to your post or sidebar. If you would like to be added to the mailing list , click here or join our Facebook group! Back in September, we had so much fun answering some random questions, we've decided to do it again next Tuesday, December 9!! CLICK HERE and pick any 10 questions from this list. Then, just answer them in your post! My house definitely needs some improvements, so this was a fun topic to think about! It is fun to dream. I went into another world just looking at your Pinterest pictures. But it would be no fun to have any of it without our life as we know it. We actually have pretty nice closets now, but nothing like that one! It would be awesome! You could seriously live that that closet, couldn't you? Mine too! We have great space, but it needs some re-decorating for sure! Thankful for what I have, but it sure is fun to dream, huh? It was fun, but very thankful for what I already have. I love that it would have a live in housekeeper, i also LOVE that you are grateful for what you have. I never thought we would own a house. The house we have is the first house my husband or I have ever lived in. Neither of our parents had a house. We love our house. I'd definitely enjoy a designer.. but more importantly - a housekeeper. Wraparound porch for me too. I want an indoor jacuzzi and an outdoor hot tub to use year-round and to see the stars in. I also would like a large kitchen because right now, two people cannot cook at the same time without bumping elbows constantly! I love your pictures, Lisa! That outdoor space is incredible! I've been looking at real estate photos off and on, but none of those houses ever show up in our price range! What a fun post! I used to want to be an architect so I love looking at houses and pictures of houses. I agree with all your selections. I would LOVE a spa master bathroom and a little alcove off of the bedroom for my yoga mat. Yeaaaaaah. Oh, I could really dream on this one. If I had that fancy house I would want it to be sparkly clean, right? :-) Definitely grateful for what we already have, but fun to dream. I like the idea of a porch, too, but i'd be happy with that backyard. Never been much for hot tubs, though. The kitchen we have now is nice (granite counters, nice appliances) but just too small. If there is more than one person in it, we are bumping elbows, too. Thanks, Jennifer! It was definitely fun to cruise Pinterest for pictures and plan out my dream house! Ooh - that closet is divine. Have you been on Houzz? I scoured that when we were redoing our kitchen. Such beautiful homes - drool worthy. But you're right - it's who is in the house that really matters. I admit I totally watched The Real World back in the day, but I will say I haven't watched a reality show since, as I am truly not a fan. But still I do agree the mundane everyday stuff would never make the cut here either!